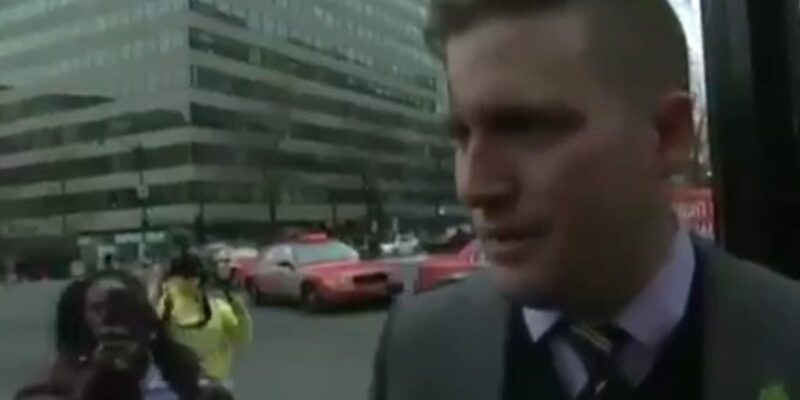 While giving an interview on Friday, Richard Spencer was punched in the face on the streets of Washington, D.C. Spencer is the leader and public face of the white supremacist alt-right. Spencer was in the middle of explaining his Pepe pin, the meme frog that has become synonymous with the alt-right movement. Suddenly, a man clocked him in the face. Spencer immediately walked away from the interview and did not seem to confront the man who assaulted him. Correction: The race of the assailant is unclear from the video footage.